As a social media and content marketer at Salesforce, I'm constantly thinking of ways to innovate content. 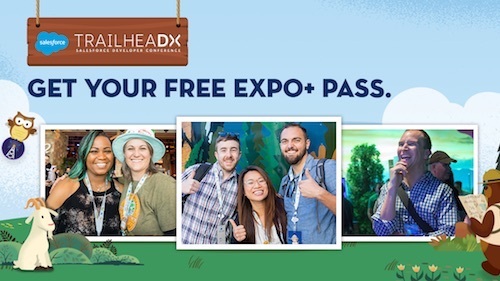 My job consists of handling social media during our events (like Dreamforce!) and more. It's a ton of a fun, super fast-paced and I'm always on my toes when it comes to analyzing how people are consuming content. That's where podcasts come in! According to ConvinceandConvert.com's analysis of Edison Research, podcast growth is steadily rising. Over 65 million Americans listen to podcasts monthly and 42 million Americans listen to podcasts weekly, that's 15% of the total US population. Those are pretty big numbers. Being an adventurous content marketer, drumming up ideas for a new Salesforce podcast made it to the top of my to-do list. We are so thrilled to announce the launch of Blazing Trails. Blazing Trails is a podcast for everyone. Through inspirational, world-class speakers, we're bringing you conversations to help you be tour best. Blazing Trails listeners will hear from Trailblazers like Billie Jean King, Patricia Arquette, Guy Standing, Jimmy Wales, Cherie Blair, and more. As we gear up for our 15th annual Dreamforce, we will also include bonus episodes providing tactical knowledge, big announcements, and more. 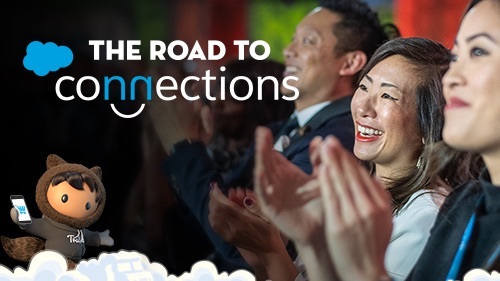 We are taking The Road to Dreamforce videos and extending them to include additional information in podcast format to help you get the most out of the event. In this episode, we are focusing on Artificial Intelligence–AI. Over the next decade, Artificial Intelligence will fundamentally reshape major elements of our lives. The world of business is primed for this change in three core areas–to the employment landscape, to employee productivity, and to new customer experiences. The signs of that transformation are already all around us–Amazon recommends your next favorite book; Alexa tells you the weather; AI-driven cars idle next to us on the freeway; Netflix cues up your evening’s TV viewing. We sat down with Sultan Mahmood, Partner and Global AI Lead, for PwC; John Fremont, the Go-to-Market lead for AI at Accenture in North America; and Sarah Aerni, Senior Manager of Data Science at Salesforce to discuss how AI is changing the workforce, helping companies to meet and anticipate customer expectations, and empower business leaders to make better decisions. In this episode we are focusing on a topic near and dear to the heart of Salesforce–Equal Pay for Equal Work. At Salesforce, equality is a core value, and we're taking action to advance equality across four key areas: equal pay, equal opportunity, equal education and equal rights. We’re proud that Salesforce was one of the first companies in the nation to audit its employee pay to determine if gaps still existed among our employees. Last year, Salesforce spent nearly $3 million to eliminate statistically significant differences in pay in this first-ever equal-pay assessment. 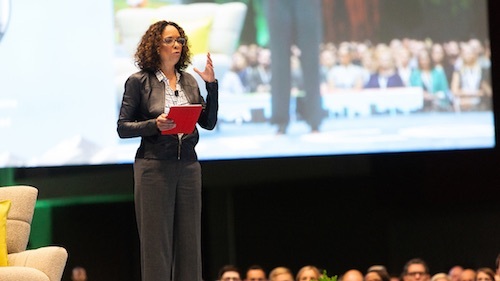 The Salesforce World Tour hit Washington DC on April 4th. April 4th also marked Equal Pay Day — when we recognize that women on average are paid 20% less than men and how far into 2017 women need to work to earn what men were paid in 2016. We commemorated this day by celebrating our equality Trailblazers. Alexandra Legend Siegel, Salesforce Equality Marketing Lead, had the opportunity to sit down with humanitarian and sports icon Billie Jean King, Academy Award-winner and activist Patricia Arquette, and equal pay for equal work activist Lilly Ledbetter as they joined us at our event. Subscribe to Blazing Trailson iTunes, Stitcher, or Soundcloud! Happy listening! Salesforce Admins Podcast: Love Salesforce, but want to dig deeper? Check out the Salesforce Admins Podcast, where you can hear stories from actual Salesforce Admins who are building amazing things for their companies and careers. Every Thursday hosts Mike Gerholdt & Gillian Bruce share interviews with inspiring people from the Salesforce community and product experts. You can find the Salesforce Admins Podcast on iTunes, Soundcloud, or your favorite podcast platform. The Marketing Cloudcast: The Marketing Cloudcast is the podcast for and about marketers who are leading the way — and blazing new trails in their companies and careers. In every episode, host Heike Young dives into a unique marketing topic and interviews multiple experts in a narrative-style podcast. It’s light on unnecessary fluff and heavy on inspiration and insights you can actually use. The Quotable Sales Podcast: Sales, especially B2B sales, is so competitive even a small adjustment can be a tipping point in your breakthrough success. Join the Quotable Podcast for thought-provoking conversations with some of the greatest minds in sales today.